Stephen Leighton's "Coffeeography - The Coffee Producers" Irish tour took place November 6th, 7th and 8th, in which events took place throughout the country. 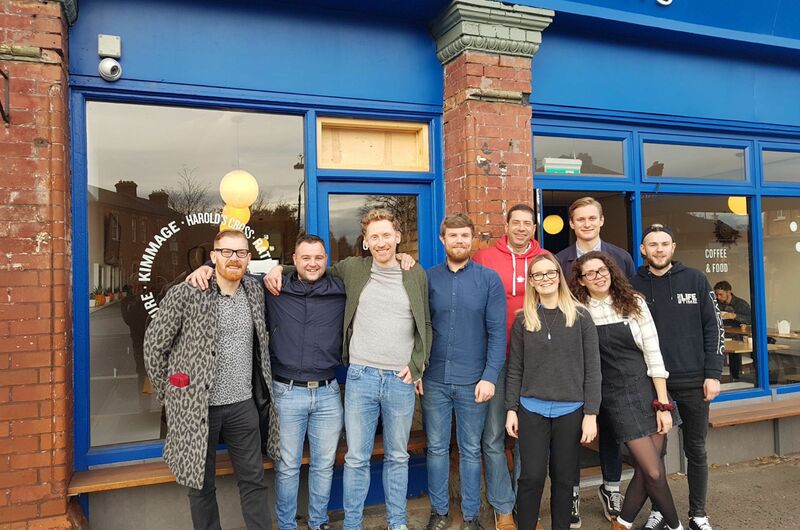 The tour started in Five Points, Dublin, then on to Suas Coffee House in Clare, Established Coffee in Belfast, and finished off back at 3fe, Sussex Terrace. Throughout the tour, Stephen presented a fascinating talk, focusing on his background of becoming a green buyer, how important building relationships with the coffee farmers we buy from is and broke down some myths about coffee trading. Stephen was joined throughout the tour by Alejandro Martinez, farm owner of the amazing Finca Argentina, a farm we have been buying from for the last 7 years. Alejandro gave a first hand insight into the joys and challenges faced by coffee farmers, as well as bringing samples of his varietal garden which were cupped at each event. Stephens book "Coffeeography" is available for purchase in our cafes and online here. The book is packed with incredible photos and profiles of some of the amazing and inspiring coffee producers with whom Steve has had the privilege of working during his time at Hasbean, each of whom share their story in their own words. Everyone here at 3fe would like to extend a huge thank you to Steve, Alejandro and all of the guests who attended the events!